When everyone around is raving about liquid lipsticks, I had to try one, and what could be better than DMGM "Photo Fix Lip Color". Read More to Reveal More!!! 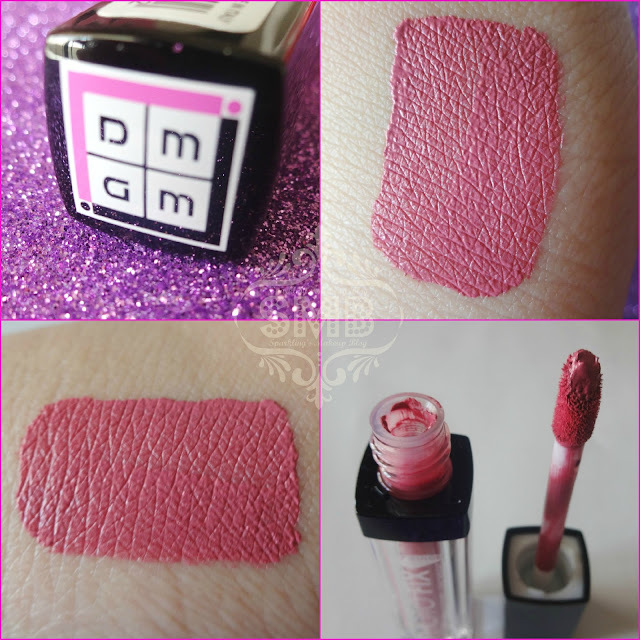 DMGM PHOTO FIX "Italian Rose"
This is not only my first Liquid lipstick rather its my favourite one too. Before going in the details of my love for it, lets discuss its packaging. It is a small square-edged transparent tube with a black cap, all plastic, but sturdy. It has a doe-foot applicator. It gets full marks, plus its travel friendly. Its petite! 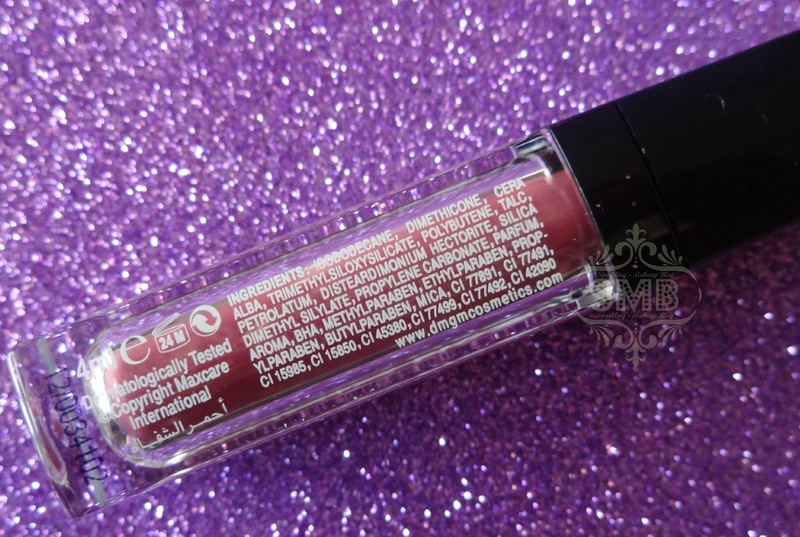 The product is really a wonder, the liquid lipstick applies smoothly, dries in a perfect time, but as we all know application of a liquid lipstick is a skilful task. No, not difficult to master at all, just apply a thin layer, with your lips lightly/loosely stretched, let it dry, no pressing of lips and no over-layering, Voila! its Photo fixed! 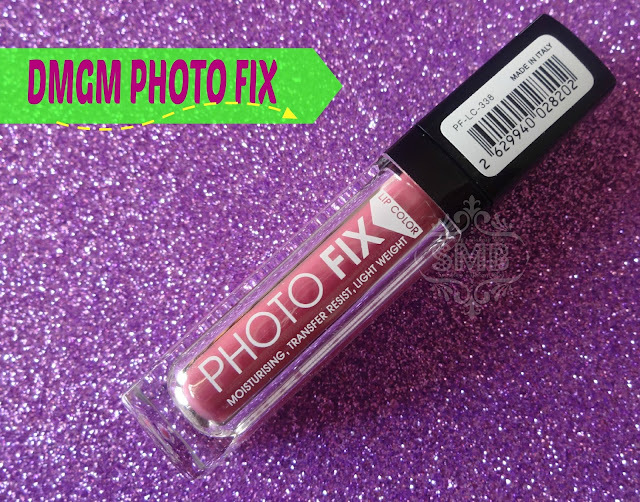 The product is very pigmented so one gets a perfect shade in just one swipe. No cakey, plastic or flour type of feeling. Its light, just remember its trick is in its simple application. The shade "Italian Rose" #338, first of all has a romantic name, then its a very romantic color. Its kinda muted "Rosey Pink" with blue undertones, which gives it a touch of "Lilac". 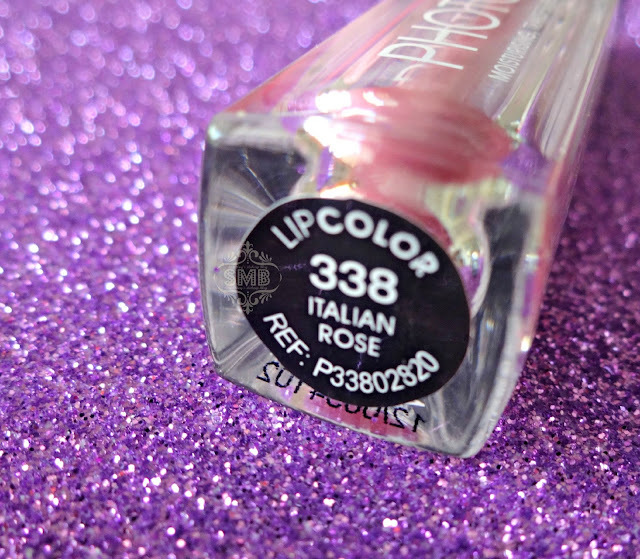 It may look a little bright in swatches but in real its just that innocent girl-next-door kinda shade. Suitable for all skin tones from fair to dusky. Staying power is really fab, lasted on my lips till I myself removed it using my regular makeup remover, approx 6-8 hrs. Yes, like all liquid lipsticks it won't survive any greasy food. As I say, little retouching won't hurt anyone! Available nationwide for Pkr 1050/-. For further details check their facebook page and visit their website. Keep following the hashtag #SPBlovesDMGM on Instagram, Facebook and Twitter. One cant go wrong with these. I have it and love it. I NEED THIS :O Such a gorgeous shade! Amazing review! 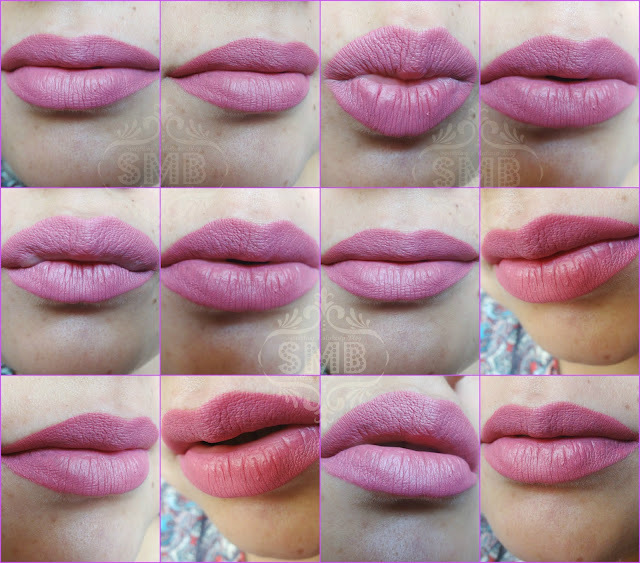 Your lip swatches make me wanna have it Asap! I have been staring at your swatches again and again and the kissy face hehehe. I will get this colour same to same :D Great review as always. Congrats on the new blog!